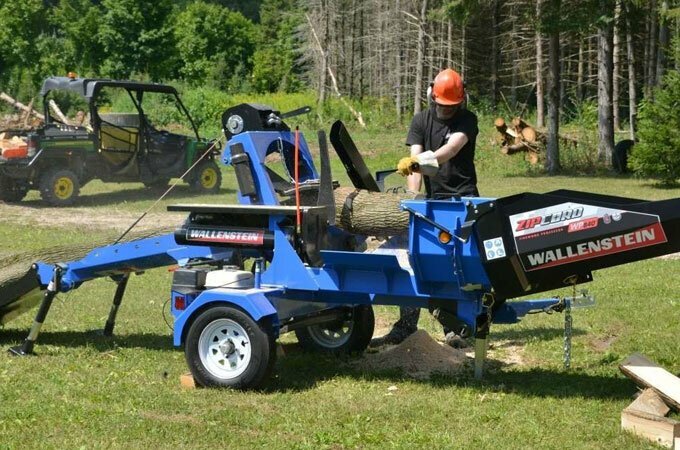 Improve your productivity and reduce the risk of physical strain by chopping firewood with the Wallenstein wood processor, ideal for home owners and part time contractors. All you have to do is cut the wood and process up to 1.5 cords of firewood per hour. 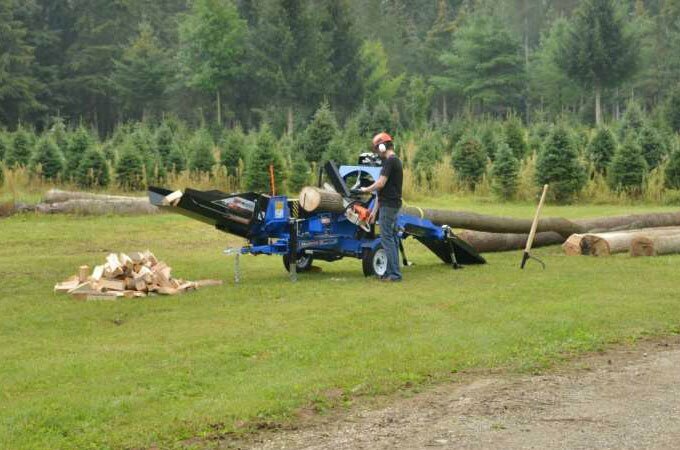 The Wallenstein WP870 is a trailer mounted wood processor and easily handles full length logs with 1550 pounds of pulling force, bringing the logs to you without relying on an expensive loader tractor or log deck. 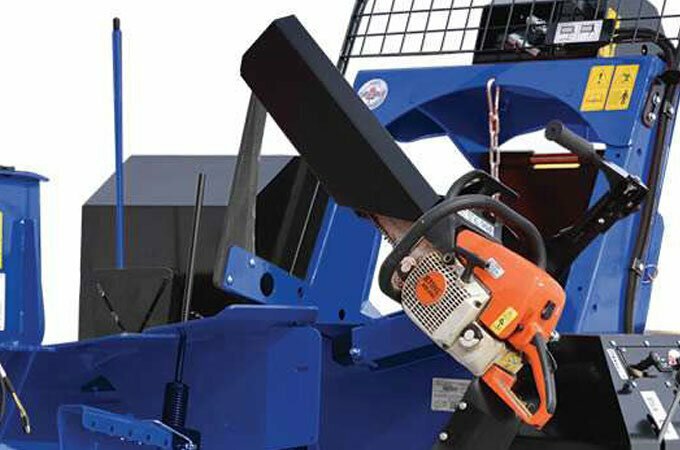 Blocking logs with your own chainsaw reduces costly mechanical components, making the WP significantly more affordable than conventional processors. Both models offer a variety of useful features and optional attachments. You can increase cutting performance even more with the optional pivoting chainsaw holder.